Urban Outﬁtters employs 900 staff, with the majority of those working in the stores needing access to the Point of Sale (POS) to serve their customers. 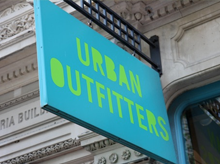 “Since I joined Urban Outﬁtters in 2006, we’ve opened 10 new stores in Europe and we needed a slick, effective POS system that would fulﬁll our growing business needs. The POS we were using kept breaking down which meant more downtime, so I needed a solution to ﬁx this” says Amish Chitroda, IT Manager, Urban Outﬁtters. Amish knew he needed an innovative POS solution that would not only meet the business needs of today, but was also for the future. “I did look at other resellers, but what I liked about APSU was that they were both ﬂexible and approachable and through their considerable retail based experience, were able to design an innovative solution aimed directly at our needs. The fact that they look after other high street retailers also gave me peace of mind.